I love paranormal for so many reasons, but mainly because it takes you to a completely different world. 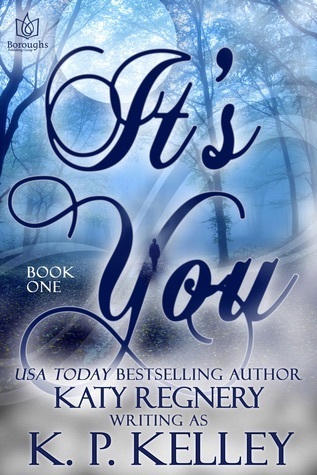 This author takes you into a world that captures your heart. Have you ever had that one moment that you know will change your life forever? Well, with one kiss Jack changed Darcy's life, but then he disappeared. This story is about a love that can put a ripple effect into the way things are supposed to be. I loved this story and can't wait for the next book. I'm not sure what I expected before reading this book cause I've got to say, the synopsis does not do it justice at all. I didn't realise it was a paranormal read, but as soon as I started reading I realised I was in a for a treat. Darcy and Jack kiss when they are teenagers, but he disappears and she doesn't see him again for twenty years. However, their kiss was epic, it was THE KISS, the one that you measure every other kiss against. Darcy never forgot him, she dreams of him often, and then he suddenly returns and let me tell you Jack is just drool-worthy. He's a man's man, a strong masculine man, a total alpha, but with Darcy he is so tender and loving with a vunerable side that he does not hide. If you like myths and legends you will love this book. It is a book with many layers that slowly reveal mystery that is Jack. Wow, talk about a reveal! Talk about patience! Life just IS...until he comes back. The connection, the chemistry, the longing...are all there- only MORE. But secrets come out and when they do they cause trouble. 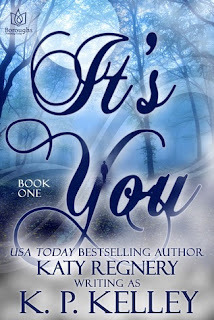 As with any Katy Regnery novel, you are sucked into the story. Time disappeared and suddenly I'm looking at the last page whining for more. Don't fret book #2 comes out soon- just not soon enough! I love the melding of science and supernatural. It makes it more fun- the constant battle in your mind. I love a good paranormal story. This is no exception. An intriguing back story and intense relationship drama with both the main and supporting characters have your romantic heart swooning. This had better become a series because I'm making grabby hands for more. More everything! Please give me more!